This month we want to highlight Mark and Steve Summs and their team at Summs Skip and Collateral Solutions. fourth generation company that operates under the trade name of Summs Skip and Collateral Solutions. As that fourth generation of the Summs family, Mark and Steve have been heavily involved in every aspect of this company to ensure the business continues to flourish. 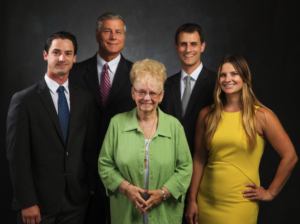 With a high family-focused work culture, they remain firmly grounded to their roots as a family business and are committed to the mission of providing safe, compliant, and innovative solutions for their clients in a consistently timely manner. Summs Skip and Collateral Solutions wanted to share an upcoming work anniversary with their fellow ARA members. As the premiere skip tracer on their team, Pat Bivens is celebrating 54 years with Summs Skip and Collateral Solutions. Hired straight out of the Navy in her 20’s, Pat shows her dedication and love for the Summs Skip and Collateral Solutions family by driving over an hour to and from work every day. Summs Skip and Collateral Solutions prove that hard work and a caring work-family make a great business.